There has become a growing trend in our society for people to use their money to work for them. Working people are beginning to open investment accounts and are trading stocks to make more money for their future. Some are even choosing to make the transition from a regular daily job to a life where they work for themselves and spend their days researching and working on investments. 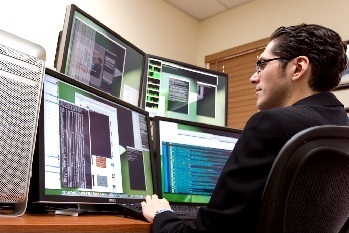 One of the fastest ways to earn money by investing is through day trading. There are some steps that you need to take before you can earn the money that you are looking to earn by taking this huge step in your life. By looking over this small checklist, you can be sure that you’ve covered all of your bases before starting out on this endeavor. Before you jump completely into the pool, you need to test the waters. Find out more about what you’re going to be doing. Read books and internet blogs about how to earn the most money, start reading the newspaper and following different companies and their stocks, and sit back and just watch until you feel like you have effectively educated yourself on how to be successful. Because much of the trading you do will be online, it is crucial that you have a reliable internet connection. Many people who are involved in the investment world have handheld devices that can keep them up to date to the minute as to what is happening with certain stocks, especially if you have an investment in that company. Before you start dumping money into investments, you have to be candid with yourself about how much you can afford to invest. If you aren’t honest with yourself about this number or if you don’t take the time to think about it in advance, you can find yourself in the hole because you spent more than you had. What are some keys I need to remember? You have to be organized to keep up with how much money you are investing and how much money you are getting back from those investments. If you dont keep track of this, you could be surprised by having less money than you thought you did. It is always important to keep track of financial records, and investing is no different. It might seem less spontaneous and fun to really take time and slowly ease your way into trading, but you will be happy that you chose to do it this way in the long run. If you go into any kind of investment deal too quickly, you can really end up in a bad situation. It is best to not jump all in at once. portfolio!for to help your investment portfolio!